We are exhibitors at DRUPA, the world’s largest print media trade fair and the most significant exhibition of print and print media industry in Düsseldorf, and supply sophisticated printing machines with fine web offset technology. 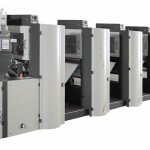 We completely meet the goal of this year’s DRUPA: presenting technologies for the future. 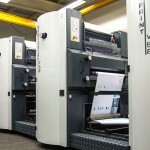 With our competent service, we just delivered a printing machine of type EVO-PRINT V-52 to the Sudan, in Africa. This machine is distinguished by the fact that it is format-variable from 11″ to 26″ in a 3-cylinder withdrawable-unit design. The sheet width is max. 520 mm and the technical machine speed is max. 300 m/min. The National Printing Office in the Sudan, the buyer of the printing machine (EVO-PRINT V-52), will mostly use it for continuous production. 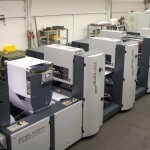 Are you also interested in a new or used and completely reconditioned printing machine? Such a reconditioned machine, whose long lifecycle is also guaranteed through the original spare parts “Made in Germany”, represents a real alternative to new printing machines. Even if you already own a printing machine, EDELMANN can help you complement the machine with add-on units such as ink agitators, A4-cross-cutting cartridges, high-pile delivery and UV-upgrades. 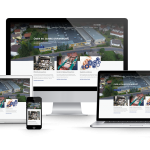 If you need a spare part, the company guarantees fast replacement and repairs as well as the prompt examination of problems by qualified service technicians on site.